Breath of the Wild’s avant-garde cousin. 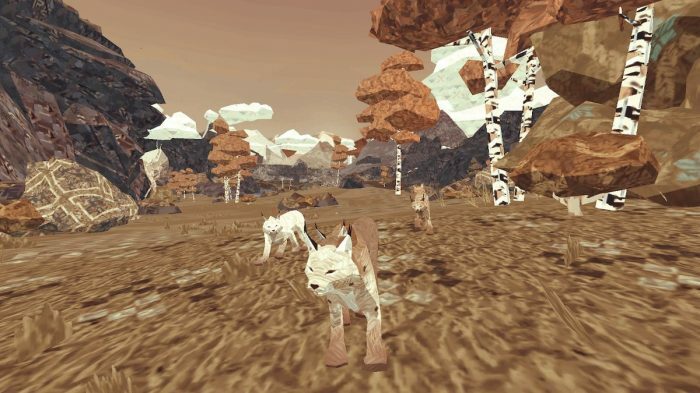 Shelter Generations, the third release in the Super Rare Games range, is an avant-garde animal life sim. It takes nods from adventure games of the likes of Zelda: Breath of the Wild, with a wide open world with new areas to be found around its edges. The game looks prettier when still than in motion. 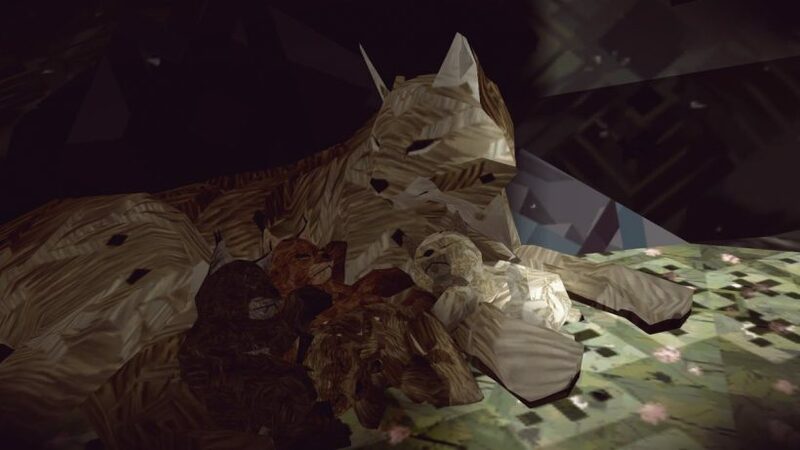 The main game in the package, Shelter 2, puts you in the role of a mother lynx, with three newly-born cubs. In a story told across several seasons, you get to watch those cubs grow into fully-fledged predators. To do this you’ll need to keep them fed – hunting animals including rabbits and deer – and protect them from predators themselves, with wolves and birds of prey both posing a threat when your cubs are small. 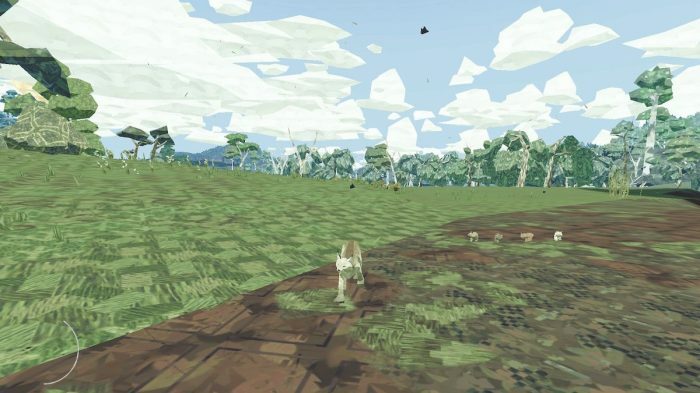 After feeding them three times in their den under the tallest tree on the map, they start following you around the over-world, putting them more at risk. You have to keep an eye on them at all times, making sure none get left behind if you want to take them all the way to adulthood. Shelter Generations undoubtedly has a unique style, but it doesn’t work as it needs to. Jagged edges are plentiful, and things seem to jar heavily together rather than producing a seamless blend. As a result things come across as quite ugly, which really doesn’t suit the tone that the game tries to set. Each terrain brings different types of prey. The actual gameplay is very basic. By pressing the B button, you can darken out the visuals, illuminating the heat of prey animals. Chasing them down is a simple matter of holding the sprint button (ZL) and giving chase – cornering them in one of the map’s edges is the formula to follow. The B button also shows the directions of the terrain areas – forest, mountains and so on. But there’s no indication as to why you need to go to these areas. The meter for sprinting elapses very quickly, so it can be a very long journey to reach these places. It’s not like there’s much to keep you entertained along the way, either – just listen out for changes in the music which indicate a predator is on the way. The lack of a focus in objectives is enough to lose the attention quite easily. When your cubs have matured, they simply run off into the distance – then there’s no clue about what you’re meant to be doing next. That’s not quite the case in the second part of the package, Paws, which instead has you play as one of the cubs. A more linear experience, this one is all about following the mother lynx, and you have less input on the direction you take. Usually this lack of freedom is a criticism, but here it gives the game some much-needed structure. Watching your cubs grow through the seasons is the game’s big pay-off. Conspicuous by its absence in this package is the first Shelter game, which involves a family of badgers. There are two soundtracks included to represent both featured games, though, as well as a couple of unusually-formatted written stories to take up your time. With the first Shelter game not having appeared on a Nintendo system, you can’t help but feel that this offering would have been better served as a deluxe package offering everything that the series has had to offer so far. Even so, what’s most needed in the package is a sense of focus. 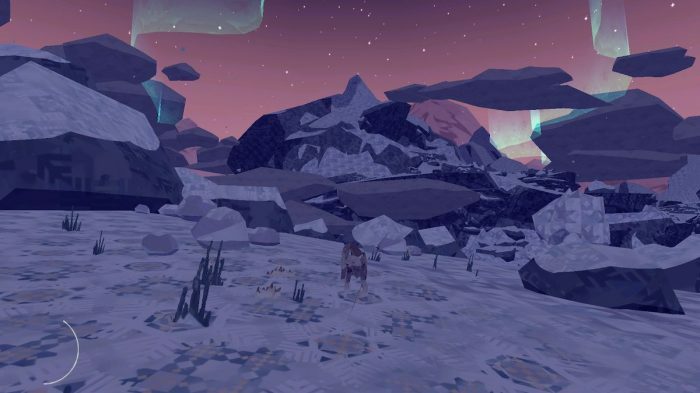 Originally appearing an interesting adventure title with unique visuals, Shelter Generations disappoints in its lack of a clear focus and the graphics not paying off.